Dean Dixon loves to photograph people. Besides having a unique talent for lighting and composition it is his ability to relate to and make comfortable any subject that sets him apart from most photographers. His irrepressible sense of humor makes every session a pleasure. Whether a celebrity or a basket maker, a CEO or an assembly line worker all are his new friend and it shows in his work. Dean's Mom and Dad met and were married in Los Angeles. When Dean was very young, General Motors transferred his Dad to Atlanta where Dean attempted to grow up. He moved back to California to attend Brooks Institute of Photography in Santa Barbara. 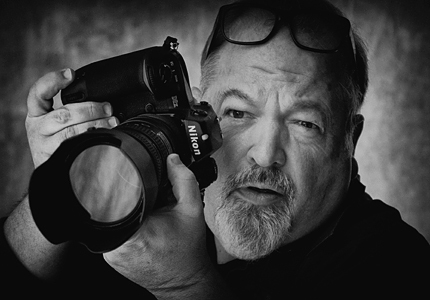 Upon graduation Dean sought out an early career in Photojournalism that landed him at three different newspapers, the last of which was in Nashville, Tn. His southern roots helped him fall in love with Nashville and he hung up his shingle there in 1980. Three decades of commercial photography in Nashville have ranged from the prevalent music business, to numerous annual reports and magazine articles and most recently a book about the State of Tennessee's folk heritage entitled "Traditions, Tennessee Lives and Legacies". Dean considers the Traditions project to be his best and most personal work to date. He is indebted to the State of Tennessee Art Commission for the opportunity. Dean and his wife-studio manager Joanie live in a combination home and studio they built in the Germantown Historic District in downtown Nashville.